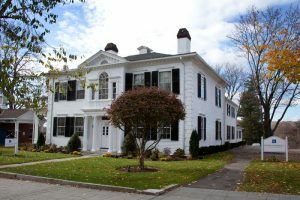 Cramer & Anderson has an extensive commercial and residential real estate practice, serving businesses and individuals throughout Connecticut. For years, the real estate lawyers at Cramer & Anderson have represented individuals and families making the most important purchase of their lives, their home. We assist with contract negotiation, lender requirements, and all closing details. Our real estate transactional practice includes all aspects of the acquisition and sale of real estate, commercial and residential development, leases, financing and refinancing syndications, portfolio planning and consulting, environmental compliance, like-kind exchanges, and condominium creation/conversion. Our real estate attorneys have represented businesses and individuals in many matters involving title issues and boundary disputes. We can take a condominium project or other common-interest community from start to finish, from the public offering statement and declaration through by-laws to sales.